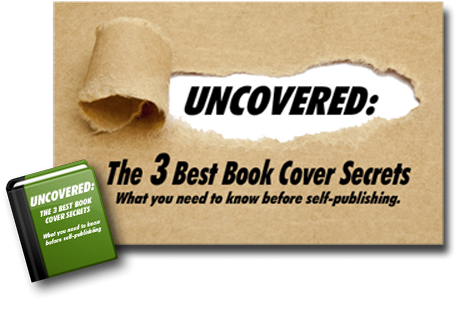 Memoir writers have great opportunities in the field of self-publishing. While traditional publishing houses clamor after memoirs written by celebrities, established authors, and people who have lived wildly unbelievable lives, there is a strong market for “quiet” true stories of public interest in the self-publishing industry. But how do you avoid a lawsuit—or even just old-fashioned shunning—if you’re planning to self-publish your true story? Here are some tips! Important note: We are not lawyers and are not offering legal advice. Consult an attorney for a more complete picture of your unique situation and options. Search your own motives. What is your goal in writing a memoir? If it’s to make someone feel bad or to publicly expose a wrong that was done, be extra cautious about self-publishing. Not only will your book be at risk of becoming unpalatably bitter, but you might inadvertently instigate a lawsuit. Consider “invasion of privacy” laws. Private citizens (who are not public figures) have the right to lead private lives. But if the facts of your memoir are of “public concern,” then you might be safe exposing private facts to a public audience. Learn more about memoir and invasion of privacy. Secure written permission from the people you’re writing about. Sometimes, the people you’re writing about might be willing to sign a document stating that they know what you’re writing and are okay with it. Such a statement might not keep them from filing a lawsuit in the future, but it could help your cause. Ask a lawyer to draw up the agreement. Change names and essential character traits. Changing a character’s name in a memoir is often not quite enough to protect a writer from a lawsuit; people can be “recognized” by more than just their names. If you’re going to try to protect yourself via craft, make big, meaningful changes to your “characters.” Turn doctors into pharmacists, brunettes into blonds, and—maybe—aunts into uncles. Just be sure to state in your author notes that you’ve made significant changes to certain characters to protect their identities. Consider using a pseudonym. To further obscure/protect the people mentioned in your book, consider hiding your own identity using a pen name. Your author bio can be truthful, but also brief, and it might even mention that the name you’re writing under is a nom de plume. Avoid defamation issues. A defamatory statement is a false “fact” that is presented as true. In short, it’s an outright lie. Avoid lying at all costs. Be judicious about your dialogue. It’s commonly accepted that memoirists will invent dialogue that closely echoes real conversations. But if you try too hard to capture word-for-word debates or life-changing pacts, people might claim, “I never said that.” When in doubt, paraphrase through summary. Consider publishing your book as a novel. While putting “novel” on the cover instead of “memoir” might not be a foolproof way to avoid a lawsuit, it might help. Learn more about the sometimes subtle differences between fiction and nonfiction. While a journalist might be successfully sued for printing a story about a true event without proper evidence to back up the facts, the law as a whole seems to hold a creative writer to be responsible for telling his/her version of a personal story. In other words, there seems to be some consensus that truth in memoir is relative, to a degree. And in many cases, judgments tend to skew in favor of creative writers who claim to be telling the truth. So don’t be afraid of telling your true story! Question: How did you address privacy issues in your memoir? I’ve been thinking about publishing “My Poppy Story” for years–so many people have no idea there even is a Poppy Princess, much less what goes with the job, but I worry over this stuff. I’d love to include a fascimile of my poppy (scrap)book, but So much of it involves written communication and photographs of private groups, the legal CYA is such a headache to even think about that I haven’t done anything about writing it for years, though a lot of vets in general and the American Legion in particular would like to see more light shined on disabled vets. Things is, I reigned over 30 years ago, and most of the book involves letters and cards from organizations represented by folks who aren’t even alive to ask anymore.